Vladimir Putin has said that the current setback in the popularity of the United Russia party will be a thing of the past after the party introduced direct and secret ballots for all of its leaders and administration. 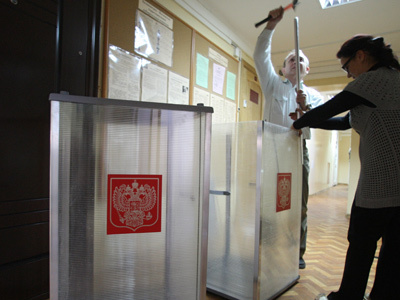 Putin said that in his view the problems were caused not by the campaign organization by local election headquarters, but by the lack of internal democracy in the party. “If the party’s leader, other party bosses, its administrative bodies are elected through direct and secret vote, not by an order from above, the mechanism will start working. 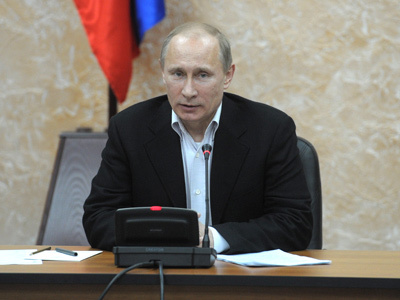 We will get a serious improvement of the situation,” Putin said. Other participants of the meeting suggested that Putin’s headquarters prepare a small book with precise instructions as to how the PM’s supporters should behave when confronted by supporters of other candidates. 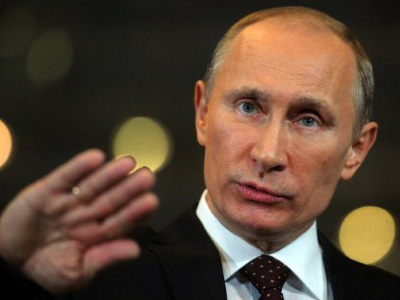 Putin said that his allies do not need any sort of cheat-sheets. “The time you reach out for the necessary quote, you will lose,” he said. Putin also assured his supporters that in the case of his victory at the elections he would make major changes in the government. At the same time, the PM said that those who performed well will continue to work “decently and on a good level,” for the current diversified economy allows such a move. Putin said that he was against excessive staff reshuffles, as this could affect its performance and added that he had discussed the future changes with President Dmitry Medvedev. Putin also spoke in defense of the honor of his predecessor in the presidential post – first Russian President Boris Yeltsin. 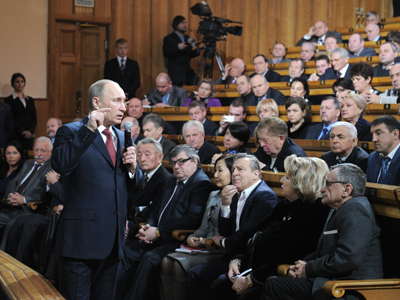 When one of the women in the audience complained that she had cried at international forums when Yeltsin spoke there drunk, Putin at first joked that the problem could be that Yeltsin, being a Russian man, simply forgot about a chaser, but quickly became serious and said that it was not easy to cope with the stress Yeltsin was facing. “Yeltsin did a lot in the sense that he gave freedom. There were also enough mistakes, but there are things that are non-changing values. 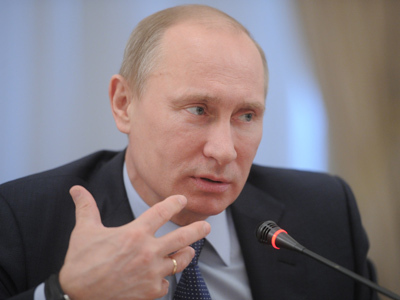 Possibly, a lot of things could have been done in a different way, but still I would like to defend him,” Putin said. In the end of the meeting Putin said that he is sure that the absolute majority of Russians will vote for him on March 4, but stressed again that the elections must be transparent, objective and every candidate must get what he deserves.